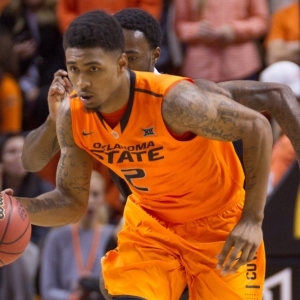 The Oklahoma State Cowboys head to the Lloyd Noble Center to take on the Oklahoma Sooners on Saturday. The Cowboys are 5-2 against the spread in their last 7 games vs. a team with a winning % above .600. They are 7-3 ATS in their last 10 games vs. a team with a winning straight up record and are 17-35-1 ATS in their last 53 road games vs. a team with a home winning % of greater than .600. The over is 6-1 in Oklahoma State's last 7 vs. a team with a winning SU record and is 5-1 in their last 6 games following a SU loss. The Sooners are 10-2 ATS in their last 12 games following an ATS loss. They are 9-3 ATS in their last 12 games following a SU loss and are 8-3 ATS in their last 11 vs. the Big 12. The over is 4-0 in Oklahoma's last 4 games following an ATS loss and is 4-1 in their last 5 vs. a team with a winning SU record. In head to head matchups, the over is 5-1 in the last 6 meetings while the home team is 8-3 ATS in the last 11 meetings. The Cowboys are 0-5 ATS in the last 5 meetings and are 0-5 ATS in the last 5 meetings at Oklahoma.